AMAZING HOME with 3 beds 2 baths 1138 sq ft.. 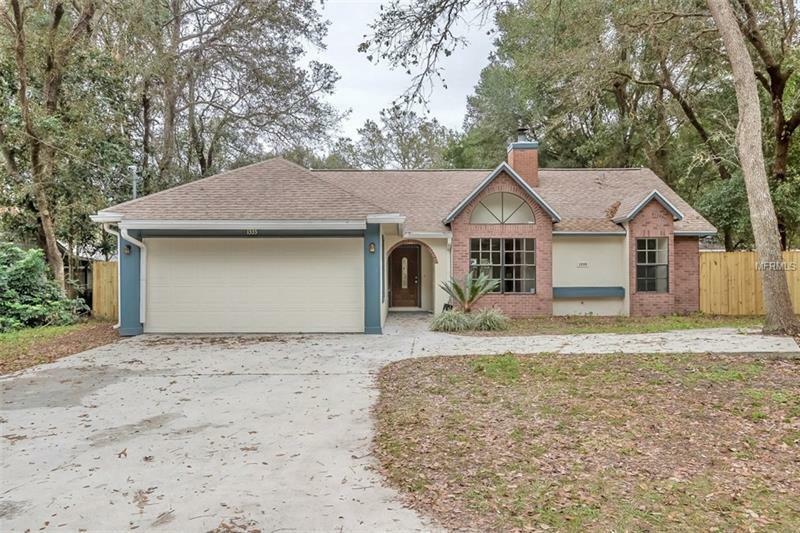 This beautiful fully renovated Orange City property is located in the private Highland Park wooded community. Located 27 miles from Orlando Florida. 3 miles from Publix grocery store shopping and restaurants. The home is west of 17/ North Volusia Avenue allowing quick access to the I4 Deland and New Smyrna Beach. No HOA fees. It is completely redone and updated with granite countertops open floor plan a two car garage a gorgeous fireplace new AC unit laminate floors new carpet in bedrooms Master bedroom has custom closets and lots of privacy. A fenced private backyard to enjoy a peaceful morning. No appliances installed as the new owner can choose the best fit for their needs. Seller will helps with costs. This property is priced for quick sale.